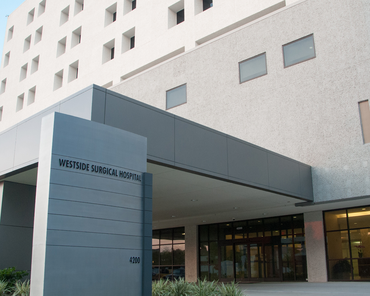 Westside Surgical Hospital & Breast Center is a multi-specialty surgical hospital created to serve all people through exemplary healthcare, education and community service. 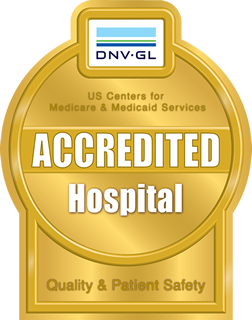 Our mission is to provide the highest quality services in a safe, welcoming and comfortable environment. The hospital is conveniently located in central Houston close to the Southwest Freeway and Weslayan Street. With 12 overnight beds and six operating rooms, Westside Surgical Hospital & Breast Center is equipped to perform a wide range of inpatient and outpatient procedures and specializes in breast, orthopedic and spine surgery, among a wide range of surgical and diagnostic offerings. Our thoughtfully designed facility offers the most advanced setting for surgery in the Houston area, with the patient’s care and comfort as our first priority. In a welcoming environment, our friendly, professional staff anticipates each patient’s needs to ensure that his or her stay is positive from beginning to end. Modern accommodations, concierge services and guest amenities make patients feel at home.